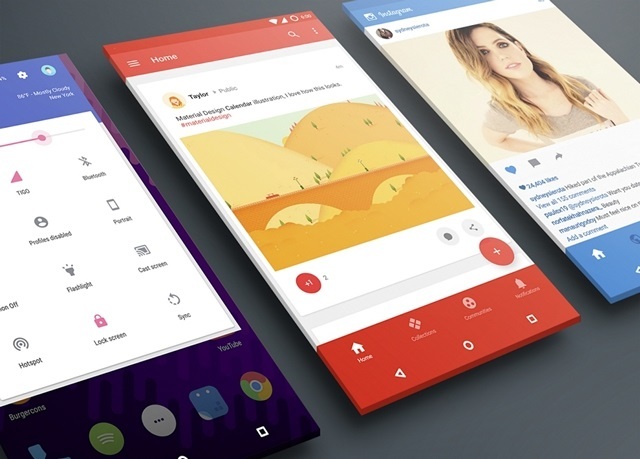 Note: These themes work with most custom ROMs that have Cyanogen’s recent CM 12 or 13 theme engine integrated. Also, after you have installed a theme, make sure to reboot your device once for the best performance. 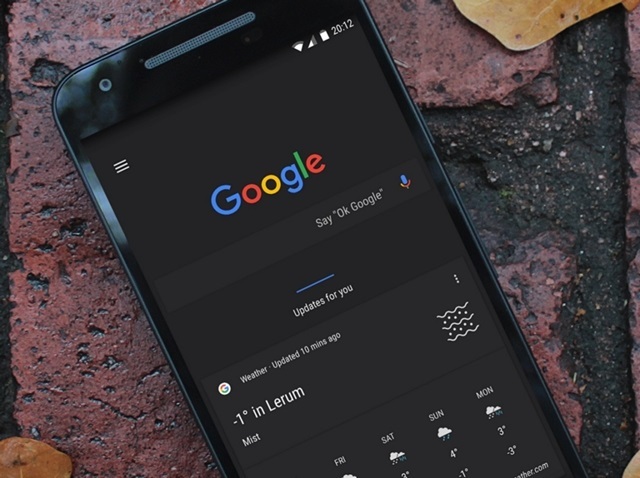 Dark Material is the one of the most popular dark themes available for CM13 and with another loved dark them “Blacked Out” now merged into, it has gotten a whole lot better. The theme brings a cool dark look to CM and its minimalistic icons are a treat for sure. Moreover, it adds overlays to most of the popular third party apps to bring a unified look all across the OS. 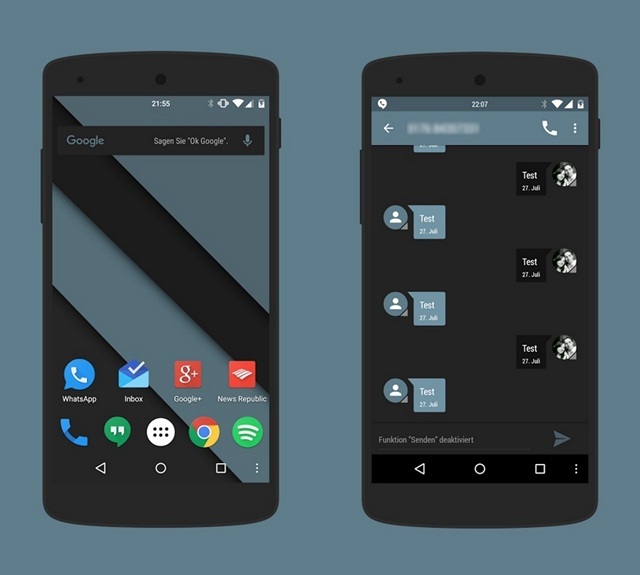 While it’s not necessarily black all around, we certainly like the grey-black infusion across the interface. It brings its own set of icons but if you like Android’s native ones more, you can install its Regression+ version. 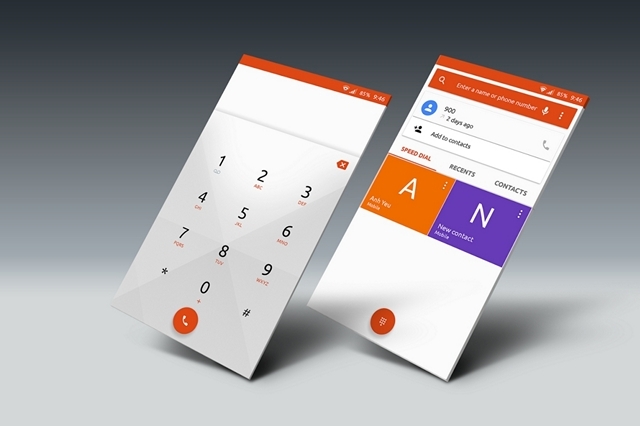 If transparent interface elements are your thing, then you will certainly appreciate the Material Glass theme. The theme makes sure everything is transparent, so that you see the wallpaper from the homescreen in every interface and app. Basically, you can set any beautiful wallpaper you like and that will become a part of every page in the OS. Swift Dark is a highly popular and arguably the best dark theme for CM13, which unlike Dark Material brings a more cleaner Black look all across the UI. Also, it brings a nice balance between Black and colorful elements in the OS, which makes up for a beautiful interface. Moreover, it themes most of the popular apps and gets updated regularly to support more new apps. Like most other themes on the list, Coalfield brings a unique style to system elements and themes a number of third party apps but what makes it stand out is it offers users a selection of different theme variants to choose from. So, if you love tinkering with your device’s interface, you will be happy to know that it features plenty of options for most UI elements. You can also check out another cool theme dubbed Outray from the same developer. 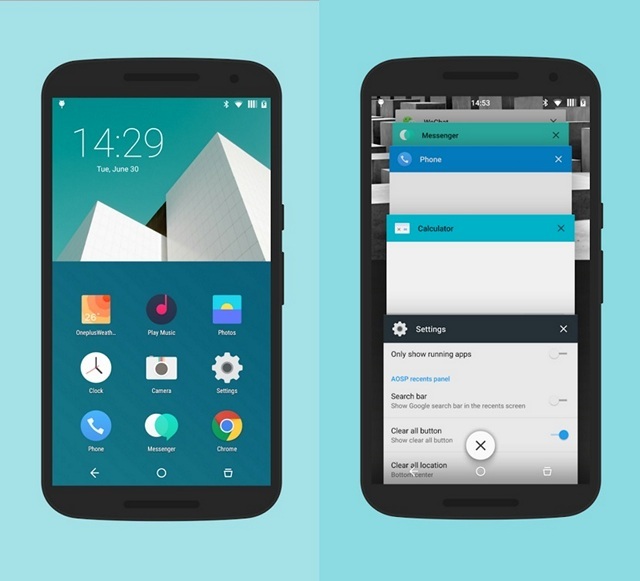 You are going to love the Euphoria theme for CM 13, if you are a fan of the Euphoria OS custom ROM. 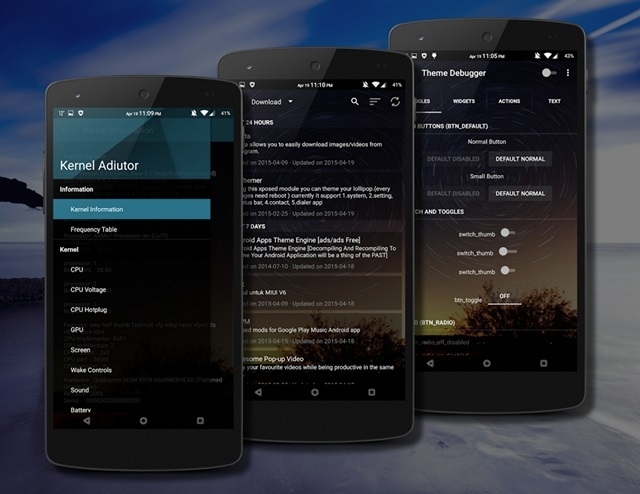 It may seem like a usual dark mod for CyanogenMod but what makes it unique is the fact that the developer has made sure to theme only particular elements, which bring a more refined look. Also, the fonts look amazing! Confused between a dark theme or a bright one? Well, Flux has got you covered. 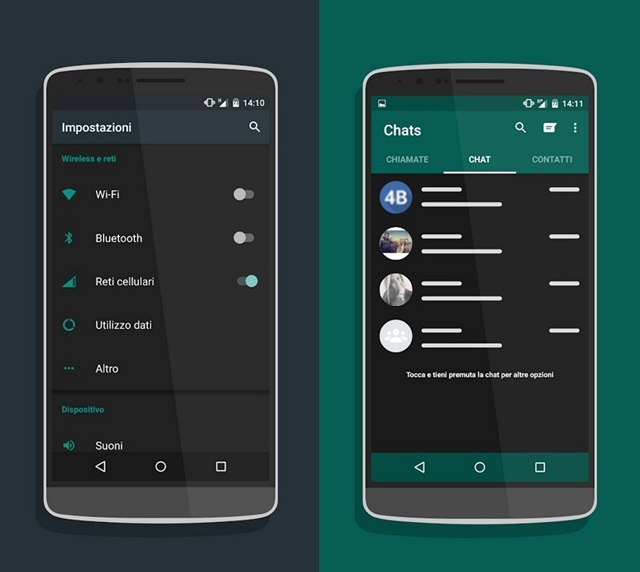 The very popular theme available in a dark version as well as white, brings a gorgeous modern look to CyanogenMod. While we have heard complains that some apps aren’t themed, most popular ones are and that’s what matters to most people. The most unique thing about this theme is it’s detailed graphics and good design. So, check it out. 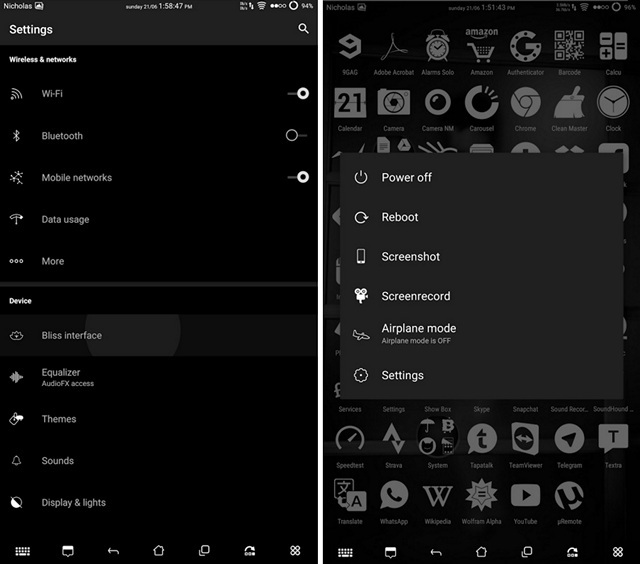 Deep Darkness is another very popular dark theme, which was originally created for BlissPop custom ROM but its beautiful looks have made sure that it’s now available for all CM devices. The theme brings layers for more than 200 apps along with 1600+ app icons. Moreover, there’s support for different color schemes through Arcus. People love dark themes and if you are one of them, you might have heard about PitchBlack, right? While most dark CM themes use grey as the primary color in the interface, PitchBlack goes full dark with Black all around the interface. The good thing is developer has also made sure that the Black elements don’t become a hindrance while reading a text. The free version of the theme brings a Black and Red look across the OS, which looks amazing. However, there are more color combinations like Black & Emerald, Black & Cyan etc. available as paid themes from the developer. 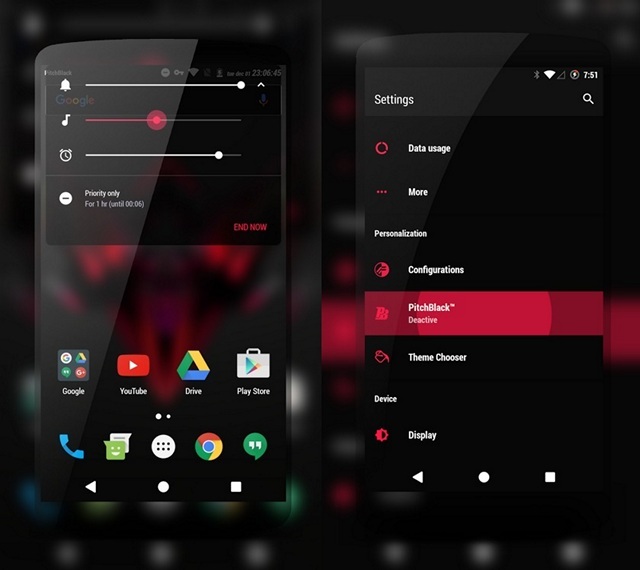 Hydrogen OS is an alternative ROM developed by OnePlus for its devices and it is the primary inspiration of the H2OS CM 13 theme. The theme brings the same minimalistic flat icons and beautiful colors we have come across in Hydrogen OS, so if you are a fan of the OnePlus ROM, you will love it. However, the theme does lack layers for third party apps. 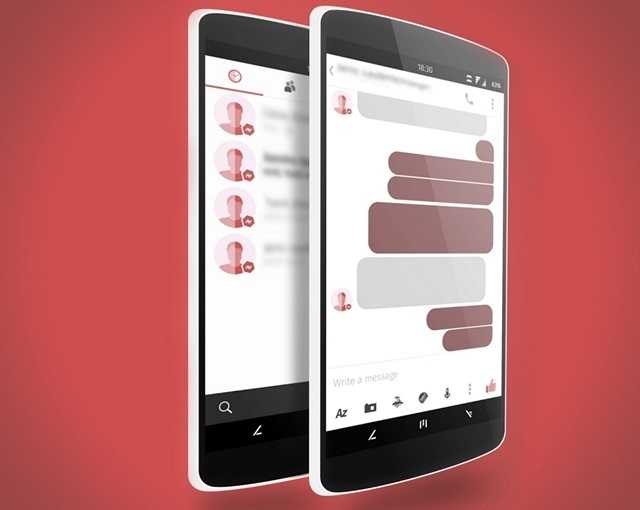 Ubuntu Mobile OS is a beautiful looking OS and if you have always wanted a similar interface on your CyanogenMod running device, the Ubuntu Light and Dark theme will fulfil your wish. The theme brings the same orangish look we have known from Ubuntu along with similar icons, keyboard and more. MaterialUp theme takes Google’s Material Design UI language and implements it in even more detailed way on every UI element and most third party apps. 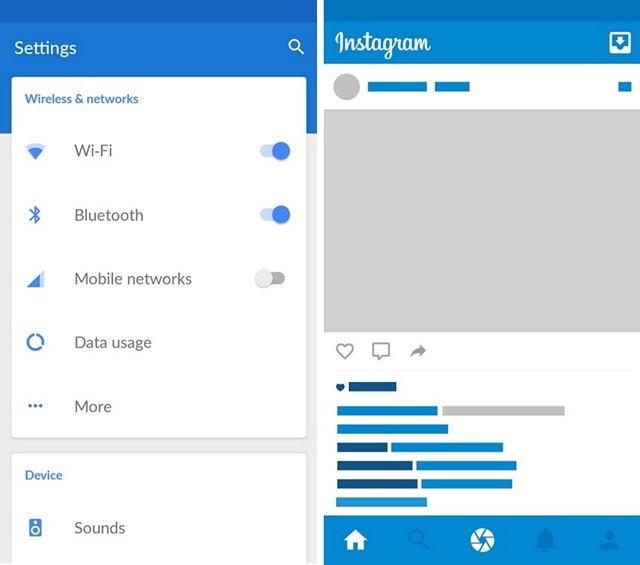 For instance, Google is yet to implement bottom action buttons that are part of the latest Material Design guidelines in any of its apps, while MaterialUp implements the same in most apps. So, if you are looking for the most complete Material Design theme for CM, MaterialUp is the one to go for. 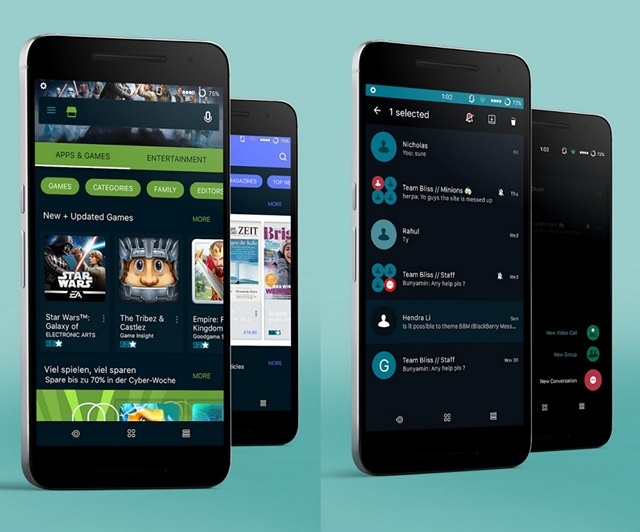 As the name suggests, MaterialOS theme for CyanogenMod 13 takes various Material Design concepts from the very active Android community and implements it across the OS. The cool thing is it brings Material Design icons and themes to most third party apps to bring a unified Material Design experience. While it’s not as detailed as MaterialUp, it’s free, so we are not complaining. Bored of the same monotonous colors or dark theme? You should try out Forto. The CM theme implements almost all the colors we know of in the interface to bring a bold, colorful look. Also, the developers have made sure to use just the right amount of color and not overdo it. Overall, it’s a slick theme, which will make sure you start hating single colored themes. 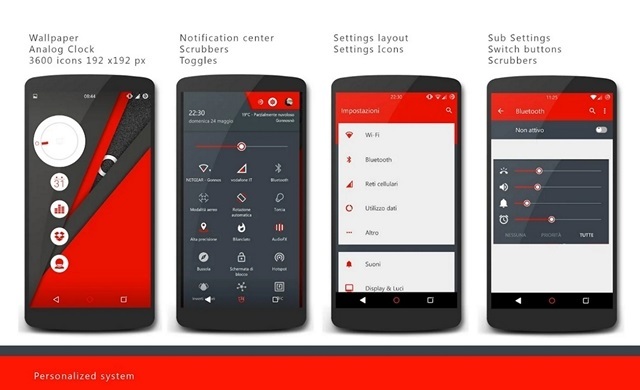 Lone is a pretty popular CM theme that brings an interface laced with a beautiful combo of Red & White or Red & Black. The use of Red all across the UI, different customization and the brilliant icons & widgets make sure everything looks gorgeous. You need to see it to believe it, so go ahead and try it, it’s free! If you want to keep the simple stock Android interface but don’t want the whites, you can use Inversion UI. The theme keeps it simple, as it only “inverts” the lighter backgrounds to dark-grey ones. So, if you want a dark themed interface without any changes to icons or anything else, Inversion UI should be good enough. Ready to beautify CyanogenMod 13? You would agree when we say that CyanogenMod and Android in general is already a beautiful looking OS but these cool themes make sure that you have a diverse look to try every other day. 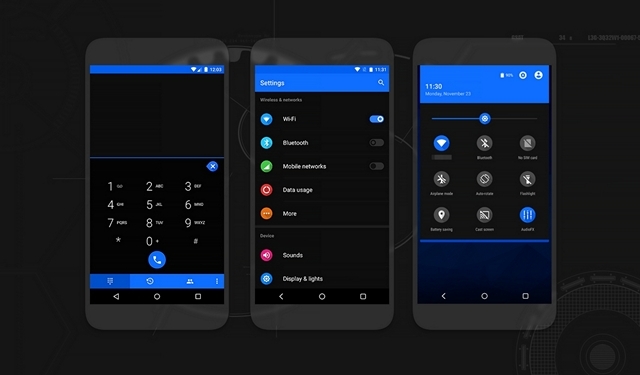 Also, these themes let you personalize your CyanogenMod experience. So, if you haven’t tried CyanogenMod themes yet, go ahead and give these themes a shot. 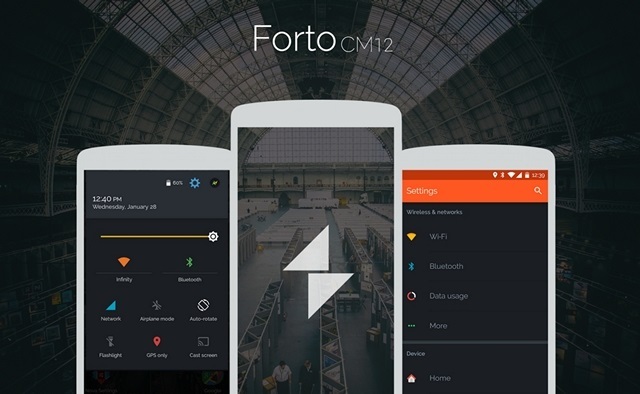 Let us know your favorite CM 13 theme in the comments section below.